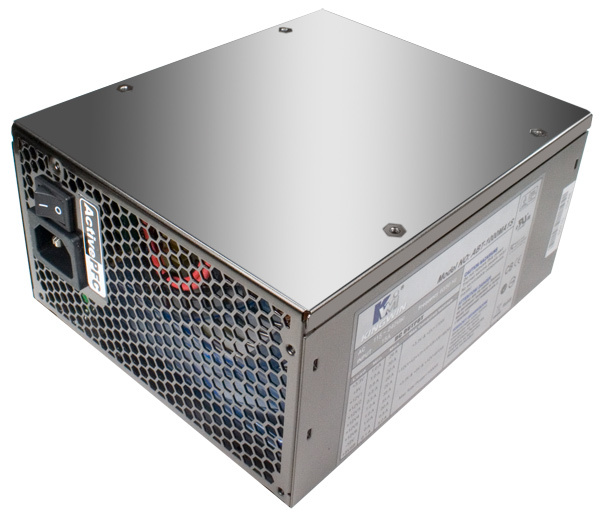 Kick your power supply into overdrive with the MACH 1 1000W Modular Power Supply. With the ability to pump 1000w of intensified power throughout your hardware and it's many components, you'll be able to experience all the power of the ultimate gaming machine. Featuring a mirror-coated finish, lighted blue modular connectors, and a bottom 150 x 150 LED light fan, this super-charged power supply is truly a bonafide winner. Now, the big question is...are you one yourself? There's only one way to find out! Power this puppy on, throw your favorite game into your PC, and aim to win! Just remember, filling all five slots in a crappy online flash version of Frogger DOES NOT count. Comply with Intel ATX/BTX standard. Dual PCI express connectors (6 Pin & 6+2 Pin). 1 x bottom blue led fan (150 x 150 mm). Support EPS & Intel 945/955/975x chipset. Output over / under voltage protection. SLI support and Cross-Fire support. Frequency range: 60 ~ 50 Hz. Input waveform: Sine wave, modified sine wave or square wave. Input to output 1800Vac 3 sec. Input to ground 1800Vac 3 sec. Efficiency: 82% minimum at 20%, 50% and 100% load. +5V output is between 5.7V to 6.5V. +12V output is between 13.2V to 14.4V. +3.3V output is between 3.7V to 4.1V. +5V output is between 3.3V to 3.7V. +12V output is between 8.5V to 9.5V. +3.3V output is between 2.0V to 2.4V. MTBF: 100,000 hours under the following conditions full-rated load, 120Vac input, and 25C ambient. Switches: ATX Logic power rocker switch.